Print out this fun illustrated quote by clicking the “Download Here” link above. When life gives you lemons, make lemonade! If you need a recipe for your lemonade, we have that covered for you too. 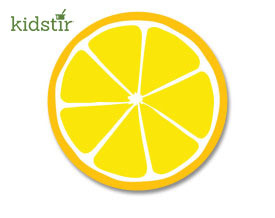 Try this fun Lemon Fizz recipe. If your kids need a bit of extra summer money for kid-sized entertainment, try setting up a lemonade stand and use our business expense and profit sheets to track income from lemonade sales turn the printable lemonade quote into lemonade stand signs to help bring in the thirsty passersby.